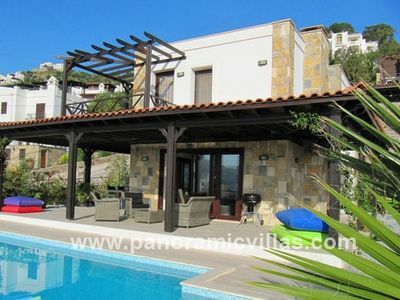 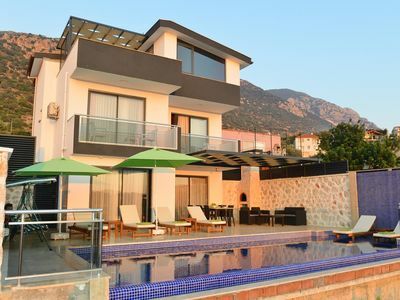 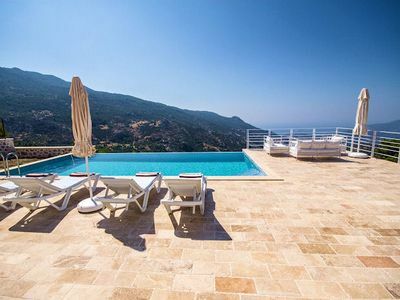 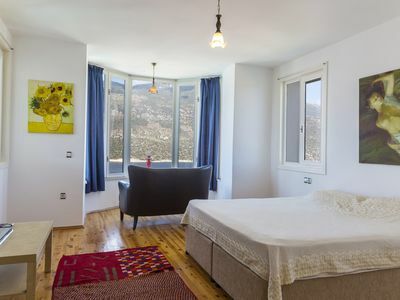 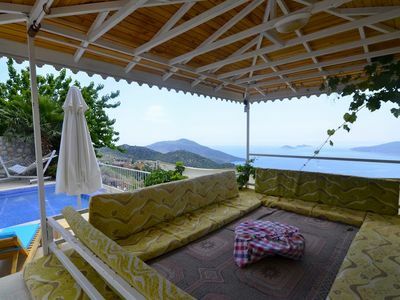 With a backdrop of the Taurus mountain range, Villa Bade is situated in an elevated position on a hillside which gives magnificent uninterrupted views over the town of Kalkan and out to the beautiful bay and Mediterranean sea below. 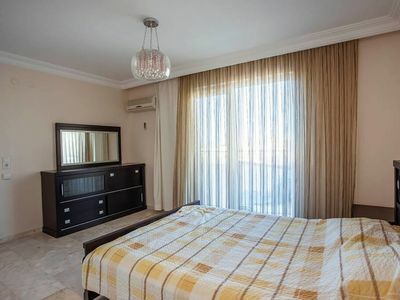 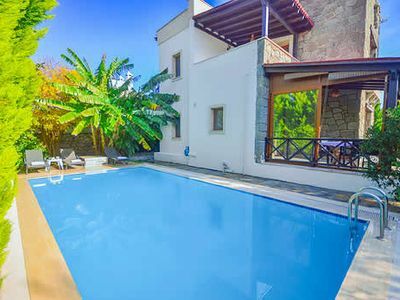 This spacious family villa which is finished to a good standard, offers a comfortable lounge with satellite TV, a well equipped kitchen and dining area, good sized bedrooms and a Jacuzzi bath. 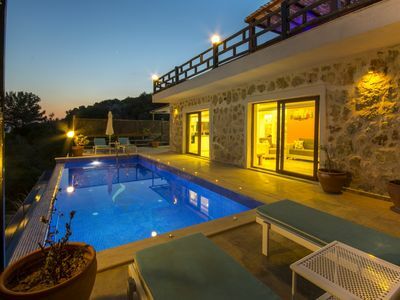 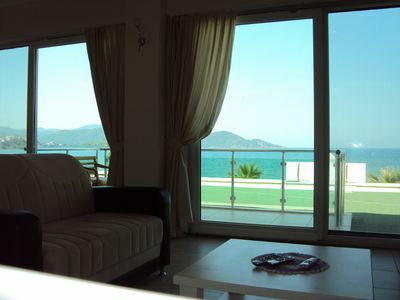 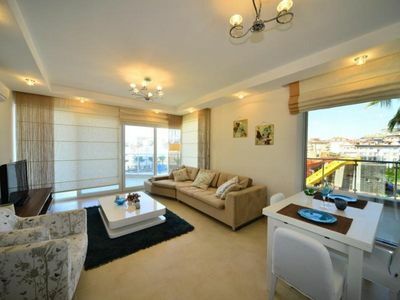 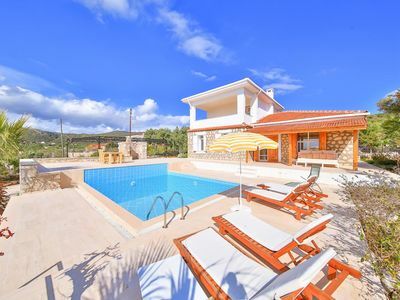 With an infinity pool to enjoy and a terrace ideal for a soaking up the sun while having a barbecue, Bade is perfect for a superb and relaxing family holiday.